This week, we’re at Deakin Downtown with a group of university students helping us promote the Aussie Backyard Bird Count. Their mentor is the award-winning educator from Deakin Ross Monaghan (AKA @themediapod). Enjoy our chat with Ross. I’m a communication lecturer and passionate about helping great students launch their career. Like most communicators, no two days are the same for me. Some days I’ll be delivering a lecture, marking assignments and meeting with students one-on-one to help them find the perfect internship, other days I’ll be leading a study tour or industry project that will help students gain better industry insights. I became passionate about communication a few second before I asked the editor of the Warrnambool Standard for a job as a copy boy. I was in year 11 at the time and wanted a new surf ski. I was introduced to him by Warrnambool’s Mayor at the time, Toni McCormack, who had given me the role of PR officer for the Warrnambool City Junior Council. I’ve been lucky enough to have a number of great mentors throughout my career. At the top of the list would be John Bown who was the Public Affairs Manager at BHP’s Port Kembla steelworks in the 1990s. He was an “old school” practitioner (who once infamously pushed a Channel 7 camera operator during a Greenpeace raid on the steelworks) but was willing to embrace my ideas and push to introduce new technology such as desktop publishing in to the communications department. The espresso machine. Once I’ve had my morning coffee, I can deal with anything. Keeping in contact in a meaningful way with the hundreds of students, alumni, co-workers and industry colleagues that I call friends. Each year my network grows as hundreds of students graduate and begin their communication career. I catch-up regularly with many of them, but not as often as I’d like. This is an easy question for me. I spent many years in the steel industry. Heavy industry is extremely dangerous, and large employers with thousands of employees on one site rarely go more than a few days without a lost time injury – that’s an injury so bad that an employee has to miss at least one day of work. I think the record before the campaign was about four days. My research indicated that many employees weren’t concerned about being so injured that they’d have to spend time at home. They’d be home, and being paid after all! I decided to video interview a range of employees who had been injured. Many broke down in tears on camera explaining that they were in constant pain, on day-shift pay rates (without significant night penalties and overtime rates) meaning many had lost their homes, and some resulting in family breakdowns. It was very emotional, and I was very grateful that the injured employees were happy to share their story. When I first showed it to the GM, a former crew supervisor at the steelworks, he cried, and demanded that every supervisor in the works must see it within 24 hour, and all employees within the next week. The result was that the steelworks went without a lost time injury for about three months. I began my career as a journalist using a manual typewriter. That, and the fact that I rode a dinosaur to work, are the biggest changes. A good ethical compass. Sometimes the truth might be ugly, but it’s still the truth. BHP will probably always be my favourite brand. Whilst it’s not the company it was in the 1990s, BHP has played such a vital role in Australia’s development and progress, and much of that has largely gone unrecognised. That listening is the most important skill in communication. You have two ears and one mouth and you should use them in that proportion. It is a truth, universally acknowledged, that the difference between a good social media channel and a superlative one is having a strong and consistent voice. No matter how much strategic planning, executive buy-in and resources you throw at your social media presence, nothing will endear you to your clients and stakeholders as much as creating a unique and memorable voice. Your social media voice encompasses all the words, terms and expressions that flow across your social media channel. Their purpose should be to foster and reinforce engagement between your company and your clients. The voice should depict how you want your clients to see you. That’s all a rather dry way of explaining something that needs to come off as organic and spontaneous. Do you want your company image to be hip or helpful, sophisticated or irreverent. With so many options to choose from, and with humans being as they are, it’s all too easy for your social media content to have an inconsistent and erratic voice, something that no business in their right mind would want. When your voice differs across your channels it can be almost impossible to achieve an authentic identity that is so essential to fostering trust between you and your clients. Strategies that you can employ to improve and clarify your social media voice don’t have to cost the world or take a long time. But they are a valuable exercise to assist you with connecting your social media content with the image you want to portray. The following are some pointers on how to clarify what you want your organisations social media character to be. Your social media voice should stem from the culture of your organisation. If you decide to adopt a whimsical, sprightly voice for an organisation that is serious and no-nonsense, then this will become obvious pretty quickly. At the same time it’s also important to think about your community of stakeholders. They will be gauging how to interact with you through your social media voice. You can do this by making sure you’re speaking their language and projecting a clear and consistent image. Think of the social media voice as they great narrator of the story of your venture. As such, techniques like storyboarding are a great method to develop character and story, just as you would when writing a script. Figure out everything your organisation likes, dislikes, your goals and who you want to be. Through this you’ll be able to define your voice with even more precision. It’s important that you have a consistent approach to how you respond to those who engage with you on your social media channels. Do you know what to say when you receive an adversarial or negative comment on Twitter? Are you making an effort to strengthen your relationships or just providing glib and shallow responses? Ensure all your interactions have the same goal, to reinforce your desired voice. Are you trying to connect with an audience that has a niche sensibility and knowledge-base. Is jargon appropriate? Will speaking frankly on certain subjects alienate people or stimulate conversation? Do you have an appropriate balance of colloquial and professional language across all you channels? Asking yourself these questions can help you make sure you don’t confuse, or even upset, your audience. Once you have a good idea of what you want your voice to be, it’s time to start thinking about how you can highlight this across different social media channels. You might think about creating a social media style guide. Hitting the right tone can be tricky and guiding your social media authors can help them, and you, avoid heartache. It’s no use going to the effort to define all the elements you see as essential to creating your ideal social media voice, and then the intern retweets the latest inappropriate meme. Hootsuite have a very handy list of what your social media style guide should include. Even if you don’t need a formal style guide, it’s still a great checklist for everything you need to be thinking about when strategising for your social media voice. Happy tweeting, facebooking, insta-ring …. etc! This week we chat with Australian author Jackie French AM in the #CommsCorner. As well as being the author of more than 200 books, Jackie is the patron of literacy programmes across Australia. When she’s not writing, she’s cooking for friends and family in her kitchen at the top of the gorge in the Araluen Valley. Author, honorary wombat (part time), passionate advocate for the power of story and the right of every child to read; Australian Children’s Laureate 2014-2015; Senior Australian of the Year 2015. Tell us about your typical day as an author? Answer emails. Mutter at too many emails. Possibly wake at 4am and jot down note for next chapter. I was three years old when I realised that books were created by humans, not picked from trees. (Though I am still hoping to find that Book Tree). Socrates, executed for encouraging the youth of ancient Athens to question everything. My favourite cooking knife and wooden spoon; laptop; chainsaw (the road out of our place is long and tree strewn), iPad. Sleep, and getting time for same. Answering 94 requests a day, most of which are heartbreaking. Which communication campaign do you most admire? The 1972 ‘It’s Time’ campaign. It sold a dream with no specifics whatsoever; yet the specifics were radical, utopian and thought out. I am extremely old, ie pre television. Also I gave up watching TV entirely 46 years ago. I am not the best person to ask about communication changes in the past 50 years. Extremely good however if you want to talk about communication changes in the past five millenia. What quality do you look for in your writing collaborators? The one that moves you most. Being honest about what you want to read tends to lead to honesty in your work. What tips do you wish you’d known starting out as a writer? Speak only the truth, and with passion or with laughter. Otherwise shut up. The best communication is a story. Each physics breakthrough began with a story. Women were killed and no one listened, then Rosie Batty told a story. Find the story and you can twist the world. Twitter is experimenting with 280 characters. Twitter’s problem, like all social media and news platforms, comes down to the unwillingness of online users to pay. Older forms of media – newspapers and the like – are just holding on despite declining advertising revenue, but that’s becoming increasingly difficult as traditional consumers die and younger consumers expect all media to be accessible online. 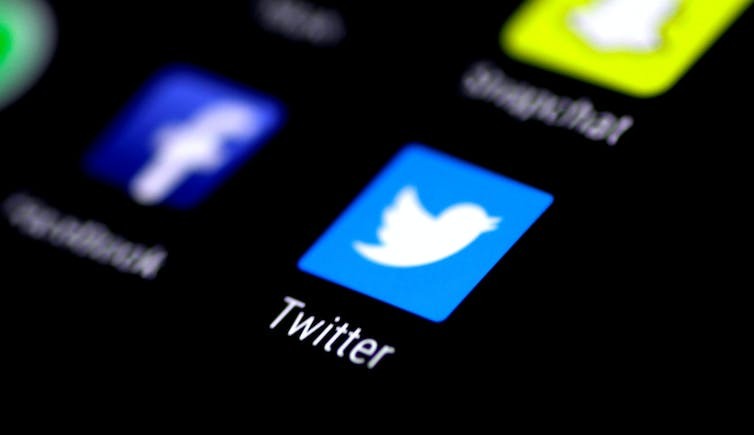 Twitter urgently needs to find a way to meet the demands of its advertisers, but by doing so it risks alienating users – the people who create the network that makes Twitter valuable. Twitter might be seizing the day – Carpe Diem – to change its primary product or test the waters to gauge public reaction, but it’s worth remembering that those two powerful Latin words are from a longer phrase by the poet Horace. We’re a little clucky at the c word with the recent joyous news from Kensington Palace that the Duke and Duchess of Cambridge are expecting a third child. And with the punters racing to choose a name for the future prince or princess, it has got us thinking about the challenges and opportunities involved in naming a new enterprise … such as a child or a company. It’s a question that I’m often asked – how did you come up with your company name? the c word? I wish I could say it happened over night, but in fact it took months and months of contemplating ideas … some downright dreadful … until one morning I was walking back from a Friday office coffee run … staring at the C= coffee in my hands and thinking about how it fuels so many communicators … and it struck me… C= communicatin, coffee, champagne … I have to call my company the c word! Most outside the professional world of communications might consider naming a company a somewhat arbitrary task. But those of us with an appreciation of branding know that the name of your business not only needs to encapsulate the essence of your corporate entity, but convey this information in a clear and catchy way that people will remember. A name should express the entire image you want your business to have. It also has the power to influence the behaviour of your customers and clients. Just think of how the word Nike, as a synonym of victory, has played into that company’s astonishing success. Generally there are three approaches to naming your company. You can choose a name that has nothing to do with the services or products you actually provide (think McDonalds, or Apple). Or you could choose something that directly conveys this, a la ‘Toys R Us’. The third option is to make up an entirely new word that you’re hoping will come to mean what you want it to mean, such as Skype or Google. So how can you be confident that you’re picking the right name? The first and primary thing to keep in mind is the people and groups you want to reach out to. For example, something trendy and edgy won’t suit a business wanting to appeal to a conservative corporate crowd. On the other hand, being too bland won’t help you stand out from the crowd. An essential concept to wrap your head around before you undertake the task of naming a new business is the idea of cognitive fluency. Essentially this is a term used to indicate the ease with which information is processed by the brain. It is a measure of how easy it is to think about something and the difference between simplicity and complexity. Image above: Which is easier to understand? A description of a circle, or a picture of a circle? Without wading too far into the neuroscientific weeds, the main point to take away from this idea is that cognitive fluency affects decision-making. For example, psychologists have found that companies with easier to pronounce names have significantly more investors than those with harder to pronounce names. The other aspect to remember is that one person’s attribution of cognitive fluency can be totally different from another’s attribution. In a nutshell, past experience and current context play heavily into how people will interpret your business name. So it’s best to stay away from controversial terms, and again to think about your desired client/customer group. DON’T use initials (especially strings of initials). DON’T use words that are foreign to your target audience. DON’T use words that can be pronounced in several different ways, or that are difficult to pronounce. If you are going with an entirely new word (think of the skype example from above), it’s important to remember a few things. You can use word segments that imply something that you wish to convey. For example, you can combine ‘Rapid’ or ‘Express’ with other words to imply speed. Or combine two words that describe what it is your business does (e.g. Kwikcopy, or Travelodge). You can also attempt to create an image that will influence how customers see your business. Before you make this important decision it is essential to ensure your proposed name goes through some standard user testing. Focus groups, user-surveys and graphical interface testing are all useful exercises. Not only will these allow you to pick a name that clients will react positively to, but it will also help you to avoid embarrassing or unintentional meanings.